who will not allow herself to be lassoed by anybody! kick pushed him off in haste. of her roan horse dream. and the sorrel-colored stud made love. and my soul will call you eternally. so when it calls me I can wake up from my sleep. let me be eternally at your side. over the ocean in the illusion of a love never felt before. If I do not return … my love, if I do not return! Translated by Daniel Flores y Ascencio. —Blanca Aguiluz De Menjivar, teacher and poet, is a member of the Salvadorean Network of Women Writers. Her work has appeared in the Antologia Poetica of the Universidad Tecnológica (1997), La Prensa Gráfica, and Radio Mundo. She also writes short stories and poems for children. We are street people. Nomadic by nature. We are the grandchildren of poor, adventurous strangers. Our living radicalizes their legacy. The celebrated Argentine novelist on writing about writers, avoiding labels, and why critics shouldn’t write fiction. Autofiction that explores the borderland between memoir and vision quest. 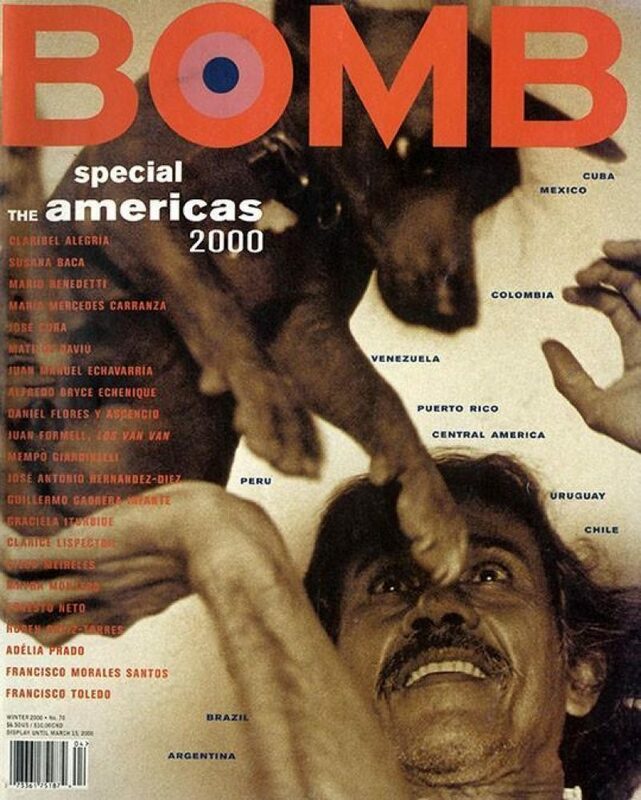 Featuring interviews with Ruben Ortiz, Juan Manuel Echavarria, Susan Baca, Guillermo Cabrera Infante, Jose Cura, Adelia Prado, Ernesto Neto, Mayra Montero, Claribel Alegria, Francisco Toledo, and Juan Formell.